Location: Lot 18, Bl. 58, Plan 18 (3 acres of land donated by Stefan Rudko; 19 km. from Waskatenau and 24 km. from St. Michael). Ukrainians from Zvenach, Skomorokh and Strebanhobichi (district of Chortkiv) in Ukraine began to settle in this locality in 1900. The church was incorporated in 1911. The old church was demolished and a new church was built in 1917. 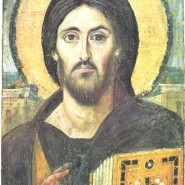 Inside painting was done by Petro Lypynskyi in 1925. The Parish welcomed Bishop Nykyta Budka in 1925 and Bishop Basil Ladyka in 1929. There is a cemetery 150 m. from the church building. William F. Melnyk donated 3 acres of land in 1912 which was blessed by Fr. Naucratius Kryzanowsky, OSBM. The church and the hall (Narodnyi dim built in 1929) were the centre of parish and community life. From 1913 until 1948 the parish was served by the Basilian Fathers, and then the Eparchial clergy served it from 1949 until 1979. Starting in 1980 the Basilian Fathers again are looking after the parish. Services are held monthly. The parish provided our Church with two vocations: Fr. Sebastian Kurylo, OSBM, and Sr. Esther Marie Kurylo, SSMI. For many years Joe Borys served as cantor. The Basilian Fathers who served the Parish on different occasions: Fr. Basil Ladyka (1913-1921), Fr. Naucratius Kryzanowsky (1913-1923 and 1929-1931), Fr. Sozont Dydyk (1915-1929), Fr. Matthew Hura (1916 & 1919), Fr. Porphyrius Bodnar (1923 & 1929), Fr. George Zydan (1927, 1931-1932, 1942-1943), Fr. Josaphat Tymochko (1929 & 1931), Fr. Paul Olinsky (1930-1931), Fr. Nicon Horechko (1931-1933), Fr. Paul Hewko (1933 & 1936), Fr. Basil Kamenetsky (1930 & 1934), Fr. Theodozy Dobko (1932-1934), Fr. Damascene Popovych (1930-1932 & 1937), Fr. Matthew Sianchuk (1935-1936 & 1942-1953), Fr. Sebastian Shewchuk (1936 & 1944), Fr. Lazarus Palenkach (1936-1937), Fr. Ambrose Wynnyk (1938), Fr. Athanasius Chimy (1938), Fr. Nicholas Kohut (1937-1940 & 1943), Fr. Christopher Kondratiuk (1940-1941), Fr. Lawrence Dzygolyk (1941-1943), Fr. Epiphany Paschak (1943-1944), Fr. Ggregory Chmilar (1944-1946), Fr. Josaphat Jean (1945), Fr. Sebastian Kurylo (1946), Fr. Sergio Fedyniak (1947), Fr. Marian Horishny (1946-1947), Fr. Hilarion Adams (1947-1948), Fr. Sylvester Kuzel (1979-1983), Fr. Vincent Prychidko (1983-1986), Fr. Ignatius Holowaychuk (1986-1988), Fr. Daniel Wach (1989-1991), Fr. Paul Chomnycky (1992-1993), Fr. John Sembrat (1994-1995), Fr. Josaphat Tyrkalo (1996), Fr. Theodosius Machinski (1997-1999), Fr. Matthew Drury (2000-2006), Fr. Gabriel Haber (2006- ). 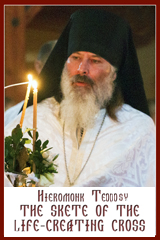 The Eparchial clergy who served the community were: Fr. Basil Chopey (1949) and Fr. Eugene Dmytruk (1950-1979).